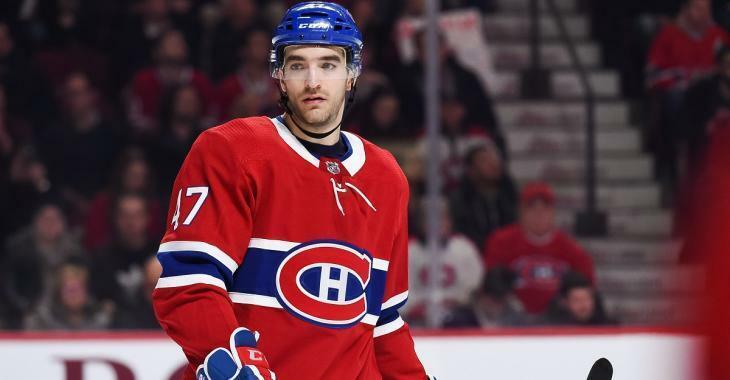 NHL News : Breaking: Canadiens have lost Agostino on waivers. Breaking: Canadiens have lost Agostino on waivers. Canadiens lose Agostino for nothing. The Montreal Canadiens have just lost a player for absolutely nothing. On Sunday the Montreal Canadiens waived their second player in two days, after previously having waived veteran defenseman Karl Alzner on Saturday, when they waived forward Kenny Agostino. The decision to waive Agostino did not come as all that much of a surprise given that there had been reports suggesting that the Canadiens were attempting to clear room in the line up for the return of veteran forward Dale Weise who was acquired in a trade over the week end. Now however it appears that the Canadiens will lose Agostino for nothing. According to a breaking news report from Sportsnet's National Hockey League insider Elliotte Friedman the New Jersey Devils have claimed Agostino off of the waiver wire and will be adding him to their roster. If the Devils are the only team that put in a claim for him they will have the option of immediately sending him down to the American Hockey League should they wish to do so. However if any other teams put in a waiver claim he would need to be submitted to the waiver process once again before the Devils could send him down and they would instead be forced to keep him on the main roster to avoid doing so. No word from Friedman regarding whether or not any other teams put in a claim for him. The decision for the Devils to pick him up actually makes a lot of sense at this stage of the season both from an on ice and off ice perspective. First and foremost Agostino is a serviceable depth forward and with the Devils having recently moved veteran Brian Boyle off their roster in a trade with the Nashville Predators they could use another body up front. There's an added bonus here for the New Jersey Devils however in that Agostino is a local boy and will serve as an excellent tool for the Devils marketing department. There were already calls from some fans on social media yesterday in an effort to get the Devils to bring the local boy back home, so I imagine this move is going to be very well received.